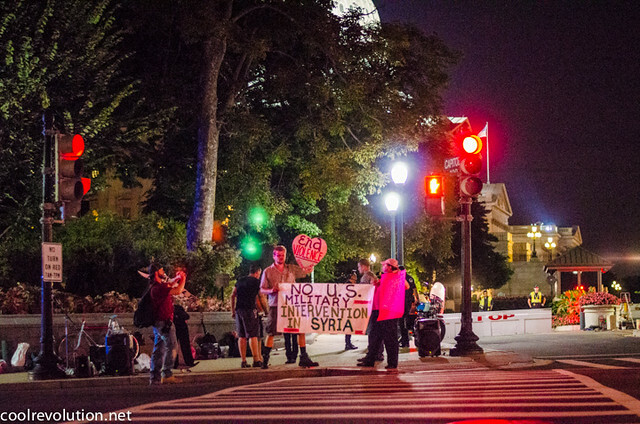 CODEPINK is calling the camp “Peace Insurrection,” a base for people to express their opposition to proposed military intervention in Syria. President Obama is pressing Congress for authorization to launch missiles into Syria after the al-Assad regime allegedly gassed civilians in the Damascus region with chemical weapons. Both Senate and House committees have approved resolutions for military force against Syria. When Congress returns next week, debate on the resolutions will begin on Senate and House floors.